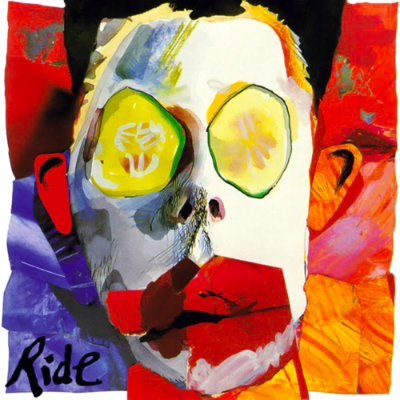 Indie and shoegaze kind of passed me by around the time Ride released their first LP. I was aware of the stuff but hardly any of my peers were into anything other than mainstream music and classic rock. There was my mate Locky though and he got me to audition for a Sarah wannabe band called Dreamtree as their second guitarist. When discussing the musical approach they said they wanted to play slow lead guitar. In my mind I thought, 'Like David Gilmour maybe?' but knew this was very uncool to them and fumbled my way through. I think they were interested in my amp but not me, unsurprisingly. Anyway I bought this on tape after seeing Ride on The Word and played it to death. I just like the layers and layers of effected guitars and the pop sensibility. I remember a muso guitarist who had one of those digital mutli-effect guitar pedals say to me he saw Ride live and thought they were awful. It only made me appreciate the LP more.